Formalin-fixed and paraffin-embedded tissues of autopsy origin are an important source for molecular analysis especially in rare diseases, neuropathology, and molecular epidemiology studies because of the availability of either normal or pathological specimens. The major difficulty in using these tissues is the extensive degradation of nucleic acids. 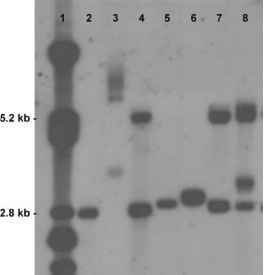 The development of a simple treatment for DNA restoration and quantitative RT-PCR opens the autopsy archives for molecular biology analysis. The possibility of performing molecular genetic analysis in autopsy tissues will improve diagnostic procedures and will enable a large number of research studies on various diseases. Retrospective analysis of these archival tissues would provide the means to correlate molecular findings with the response to treatment and clinical outcome. In addition, these findings will guide future prospective studies in analyzing native or freshly frozen tissues.